Reading and share top 2 Nancy Petralia famous quotes and sayings. 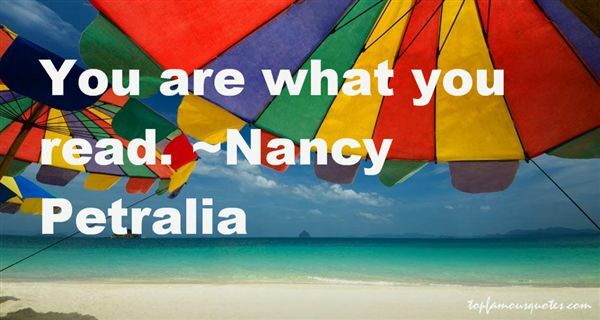 Browse top 2 most favorite famous quotes and sayings by Nancy Petralia. I'm so disturbed when my women students behave as though they can only read women, or black students behave as though they can only read blacks, or white students behave as though they can only identify with a white writer."